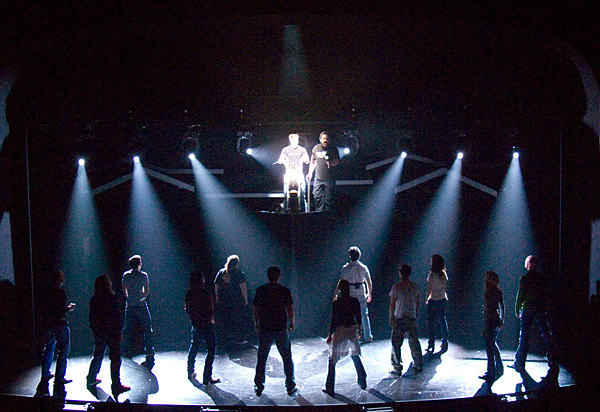 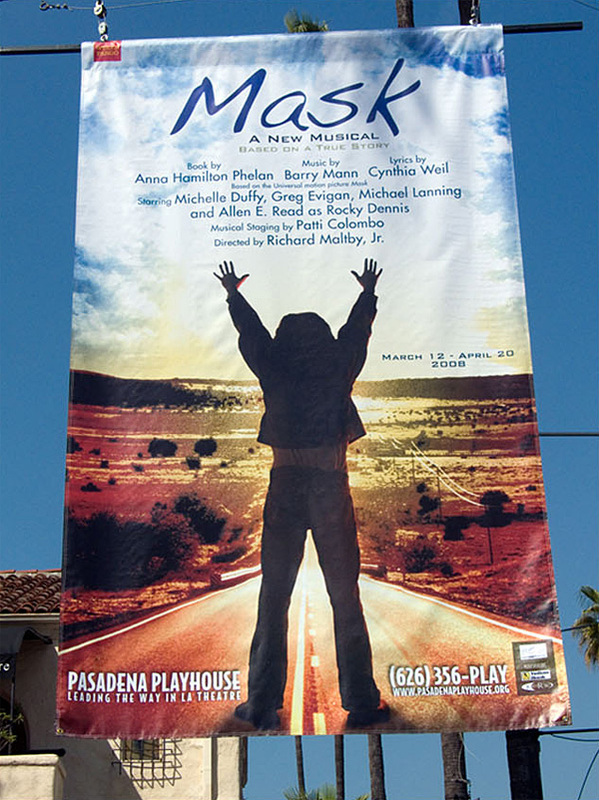 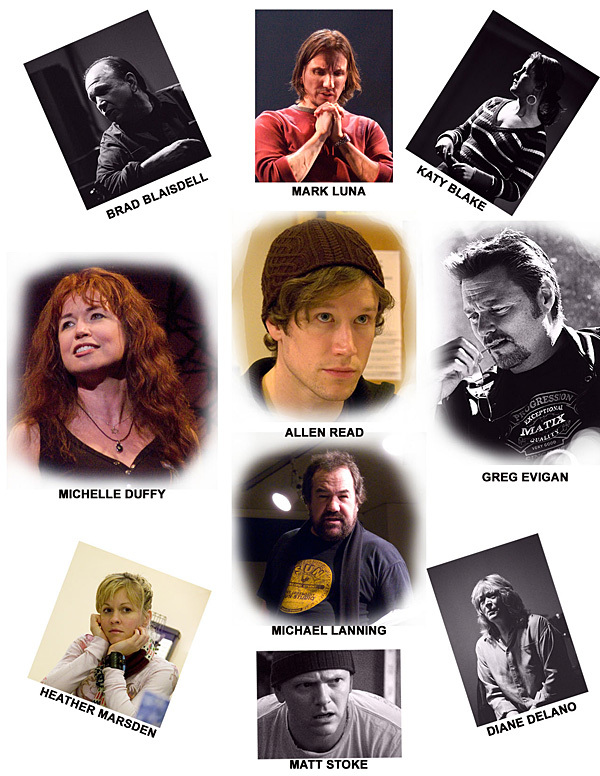 The world premier of Mask, a new musical based on the 1985 film of the same name took place at Pasadena Playhouse. 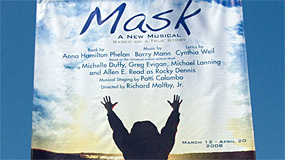 The show played from March 7, 2008 to April13,2008. 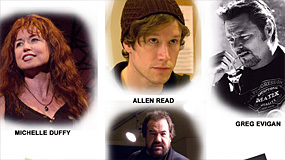 Anna Hamilton Phelan, writer of the screenplay, penned the book. 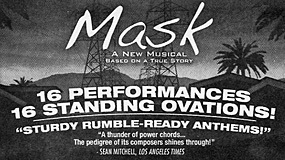 The music was written by Barry Mann and the lyrics by Cynthia Weil. 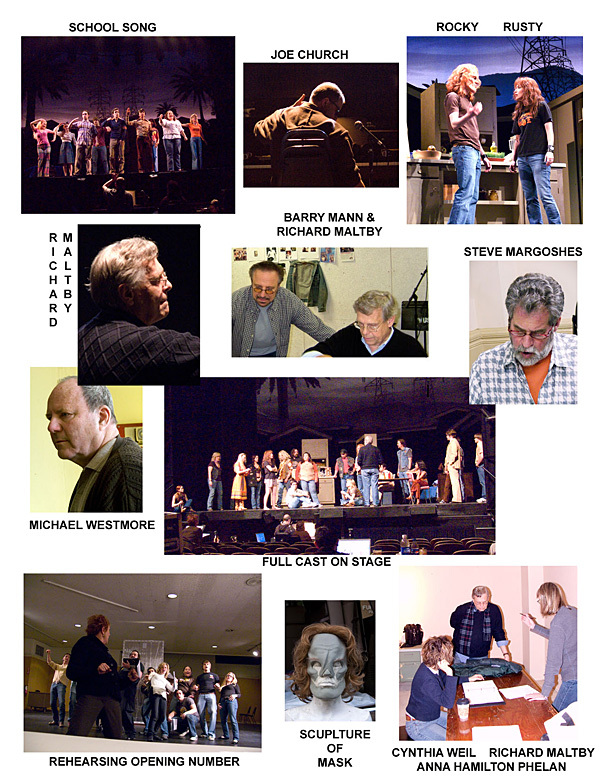 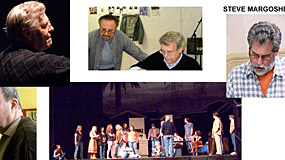 The show was directed by Tony award winner Richard Maltby, Jr.
Click on the thumbnails below to see a full image. 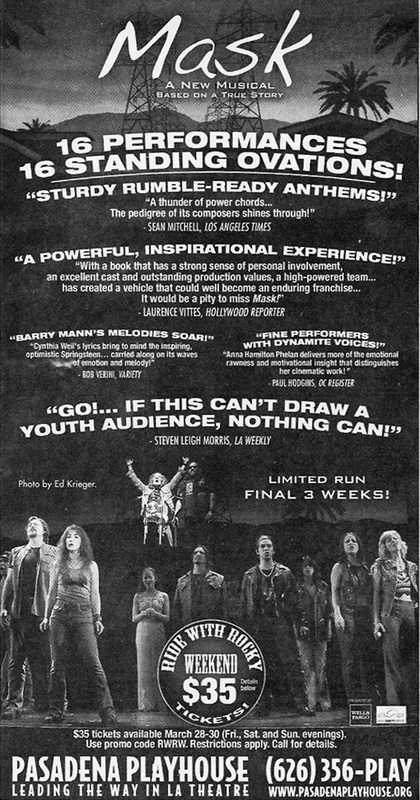 For more photos, plase visit Playbill.com.